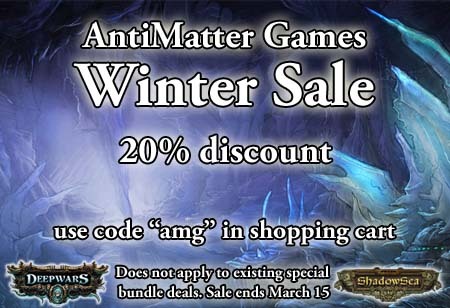 Whispers of the legendary lost realm beneath ice and snow has tempted many grizzled adventurer, devious brigands and adventurous scientists among the kingdoms of the Old World. Many of these seekers of golden treasures answered the call on dark and misty docks, unprepared for the dangers they would be asked to face. 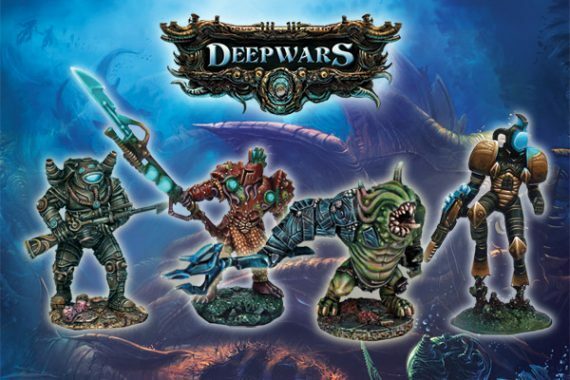 Only a few of the bravest, or most foolhardy, joined the expedition to the underground Shadow Sea, combining their skills and experimental dive equipment to make up a ragged yet dangerous force. 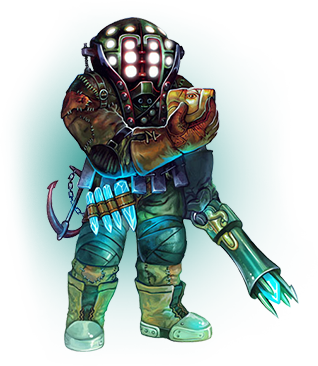 The Fortune Hunters have a variety of different troop types, but they all share a need to wear heavy dive suits of thick, oiled leather or bronze, pressurized so that they can survive under the crushing weight of hundreds of feet of water. Their helmets are designed to resist the water pressure but still give some level of visibility through multiple viewing windows of solid crystal. The helmets restrict visibly though, and the armored suits are clumsy and slow to turn, but they keep the divers alive in the deadly world at the bottom of the sea. Though their technology appears unsophisticated, a crude mixture of recovered ancient technology and rough modifications, it is still reliable and effective in combat. Their weapons are especially efficient killing tools, though relying too often on explosives that may cause collateral damage. Their primary weapons are spearguns that fire heavy steel spears and harpoons that punch through the armor of the opposing forces with relative ease. All of the weapons are fired using the same basic principles as gunpowder weapons, using an explosion to hurl a projectiles or multiple projectiles out at high velocity. In the case of underwater weapons though, the explosive is a small bit of unstable crystal that explodes when hit with a firing hammer. The crystals are a finite resource and are only found in the underground Shadow Sea, making them valuable treasures to recover during any dive. It has been theorized that these foul beings may actually be the degenerated remnants of the once powerful and proud civilization that ruled the Underlands and all creatures residing there, the creators of the ancient artifacts now coveted by all of the competing forces. It is not clear when their transformation began, but there have been some recent discoverers that have illuminated some of the dark mysteries. Dark Mariners are a dangerous foe to all that dare to enter the deep ocean. Their weapons still utilize many of the technologies of their ancient predecessors, though much has been rebuilt or redesigned over many centuries and does not share the elegance of elder technology. 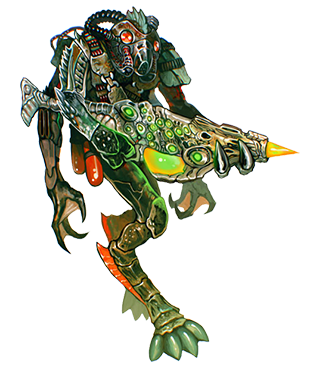 Their primary weapons utilize the power of sonic energy to cause disruption of tissue and bone as well as metal structures. These are devastating at close range, as are their other weapons that focus ethereal energy fields to cause their targets to melt into piles of gore, even inside armored diving suits. 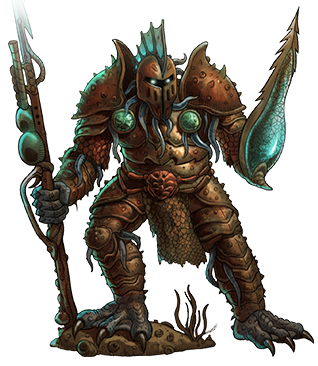 Supporting the warriors are hideous telepathic beings with tentacled bodies and hard armored shells, as well as living constructs of golden alloy and slippery flesh, wielding weaponry attached to their bodies. Their pureblood commanders are the few that retain a semblance of the nobility of their former race. These are the most dangerous of the Dark Mariners as they have knowledge of the nature of ethereal dimensions and may even be able to call forth beings of utter madness from places earthly beings should not be allowed to see. The ancient civilization of the Underlands disappeared suddenly, leaving behind its arcane devices and elegant structures beneath the surface of the Shadow Sea. Theories regarding the sudden vanishing are varied, but none can question that a force related to that elder race has now returned. The Ancients of Atalán use many of the same devices that have been dredged from the seafloor, though their weapons and tools have been designed more recently. It is therefore believed that this force was originally a group of the elder race that splintered off to explore the oceans of the world and establish new colonies. Their bodies are long and slender, some with webbed feet and others with more human features, save for gills on the sides of their necks that allow them to breathe underwater. The legends describe them as peaceful beings, rarely venturing to the surface and never attacking the ships of men, so it may be that they are reluctant warriors, killing when they must and only if there is no other choice. Their passive nature may explain their relatively weak armor and overall combat ability, which is lacking when compared to the other forces. In battle, almost all wear streamlined diving suits to protect from the bitter cold of the deep or heat from boiling water flowing up from hydrothermal vent systems, but offer little protection from attack. Ornate armored suits are rumored to be used by commanders but few have been seen. Some of their females do not wear suits at all, protecting themselves through their control of water temperature and purity around their bodies. These sorceresses appear to have powers of the ethers similar to their counterparts on land, the witch queens of the Axibalán Empire, and are capable of controlling the flow of water to create deadly vortices that disorient enemies, blasts of intense pressure that rupture diving suits, boiling walls of water or even eruptions from undersea volcanoes. Other sorceresses fire intense beams of light from their hands, channeling ethereal energy to melt through metal and flesh. The most dangerous aspect of this force though, is their use of advanced ether technology. 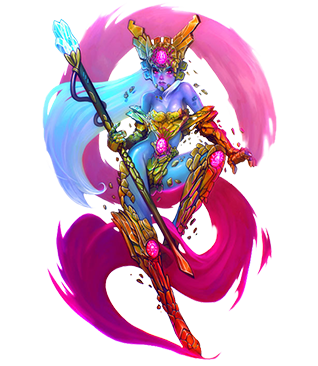 Their weapons are deadly and precise, some designed to fire focused light beams, similar to those used by their sorceresses, while others shooting projectiles at incredible velocity using a mixture of magnetic forces in the weapons and ethereal energy in the projectiles themselves. The weapons hit targets at long range and cause little collateral damage. Warriors of this force shun crude explosives and prefer to target only those that interfere with their exploration and salvage operations, although they do have some forms of controlled explosives that breach metal hulls and the walls of ruined structures with ease. Only a few years since the discovery of an inner world below a frozen continent, the nightmare of the scientists of the surface world has now occurred as the draconids have managed to colonize the southern continent of the New World. This news has brought the most recent Fortune Hunter expeditions to the Shadow Sea, where they soon learned that the draconids were even more dangerous than before. Now, the scaly devils have adapted to marine life and established alliances with some of the vicious creatures of the Sunless Kingdom, a fungal forest stretching for hundreds of miles underground. This alliance has formed a combat force called the Scaly Horde by explorers, one which has wreaked havoc on diving salvage missions. The main warriors of the force are draconid sea demons, so named for their spiked back ridges and horns and an unnatural ability to hold their breath on long dives to the deepest areas of the sea. These creatures seem to be most interested in finding submerged tunnels to the outside oceans, a sobering thought for all surface dwelling beings. Fortunately, Wormwood assures us that they would not be capable of swimming the many leagues from the underground ocean to the open seas. One of the more dangerous aspects of the force is the addition of the insectoid Clal-Chk to the ranks, beings that do not appear to have any relation to other earthly creatures. Their origins are unknown, but the Clal-Chk reside in the dankest regions of the Sunless Forest, although their cities or colonies have never been found. These dire beings have their own form of technology that relies on modifying living creatures into vile biological weapons. Their underwater weapons spit out corrosive projectiles that can eat through armor and flesh with ease, some even able to track their targets around obstacles or attack in swarms. 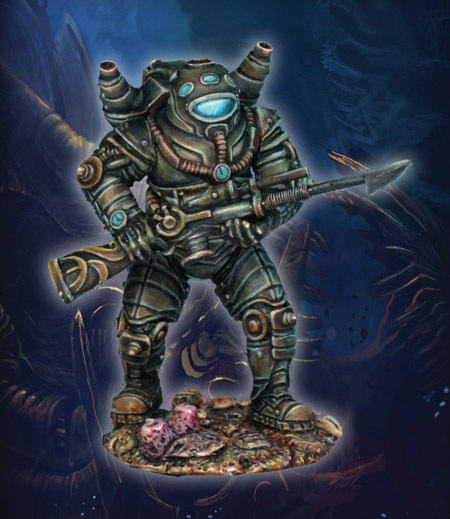 The Clal-Chk are the only members of the force that have any interest in ancient technological artifacts, actively searching for them along the seafloor and sometimes leaving the battle once any are found.